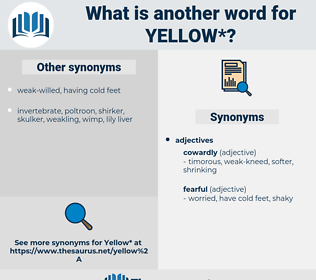 What is another word for yellow? 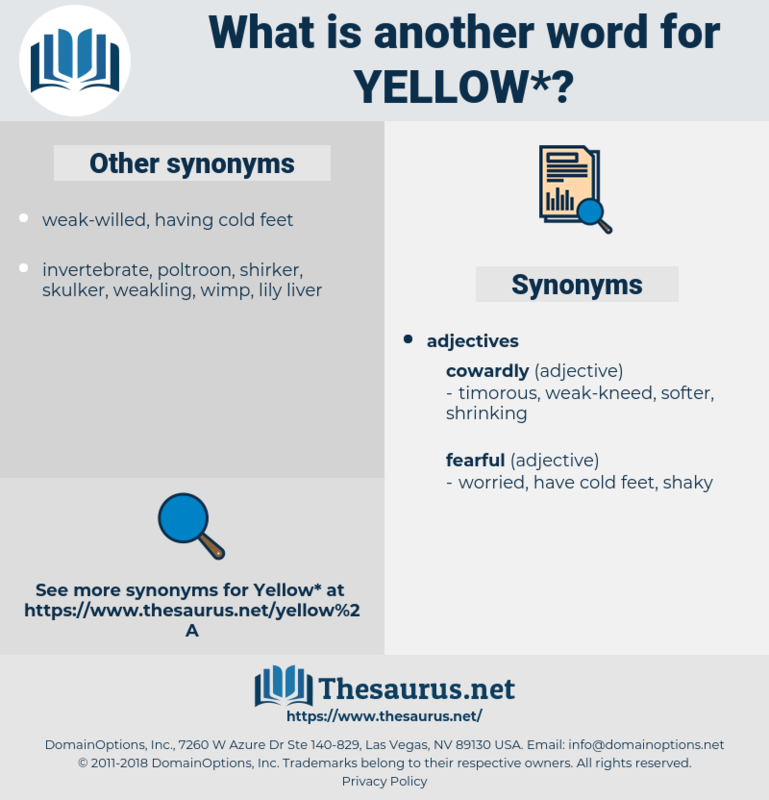 changed to a yellowish color by age; " yellowed parchment"
yolk, flue-cured, pornographic, tabloid, cowardly, orange-coloured. spunky, resolute, brazen, healthy, hardy, intrepid, honorable, cheeky, unsensational, achromatic, spirited, neutral, determined, plucky, lionhearted, new, daring, honourable, nervy, fearless, heroic. They say that yellow will be worn on everything this winter. First I thought they were white stones, but when I busted one, and the white and yellow came out, I found they were eggs. maize, straw, canary, wheat, lemon yellow, old gold, pale yellow, orange yellow, canary yellow, gold, brownish yellow, gamboge, greenish yellow, lemon, amber, saffron. Spectral Colour, spectral color, chromatic color, Chromatic Colour.